Kanye West's lawyers may have to skip this weekend's Grammy pre-parties and head to the office instead. Just days after it was revealed a former pal and associate stole 'Ye's identity to bilk Philipp Plein out of nearly $1 million, the adoptive parents of a little girl the rapper sampled on his 2016 release, "Life of Pablo" are coming after him -- and his wallet. TMZ reports Andrew and Shirley Green have filed suit over Kanye's use of their daughter's 4-year-old, pulpit-ready preaching voice at the beginning of "Ultralight Beam." The sample came from a social media video that went viral at the beginning of 2016 and features Natalie Green serving up a prayer with the refrain, "we don't want no devils in this house." Natalie's parents, who adopted her in 2012, claim Kanye got permission from her biological mother, Alice Johnson, rather than from them. They say Alice had no legal right to grant such permission. They also maintain they never got a "written license of payment for the use of Natalie's voice." according to TMZ. They're reportedly demanding a cut of the profits from sales and royalties for the song, plus damages. As of Saturday, Feb. 9, 'Ye's team had not responded to requests from multiple outlets for comment. Meanwhile, Philipp Plain and presumably Kanye's reps were busy mitigating the messy situation that ensued after Plein sent out invitations to his upcoming New York Fashion Week event that promised a performance by Kanye. In fact, Kanye had never agreed to perform and the advance Plein thought he sent to the rapper had actually gone to the account of a fraudster. 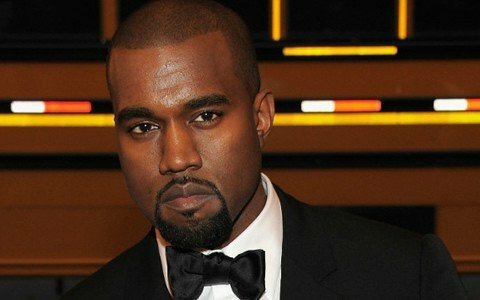 The sample isn't the first controversy to surface around "Life of Pablo," either; the same album features the now infamous Taylor Swift dis on the track, "Famous."